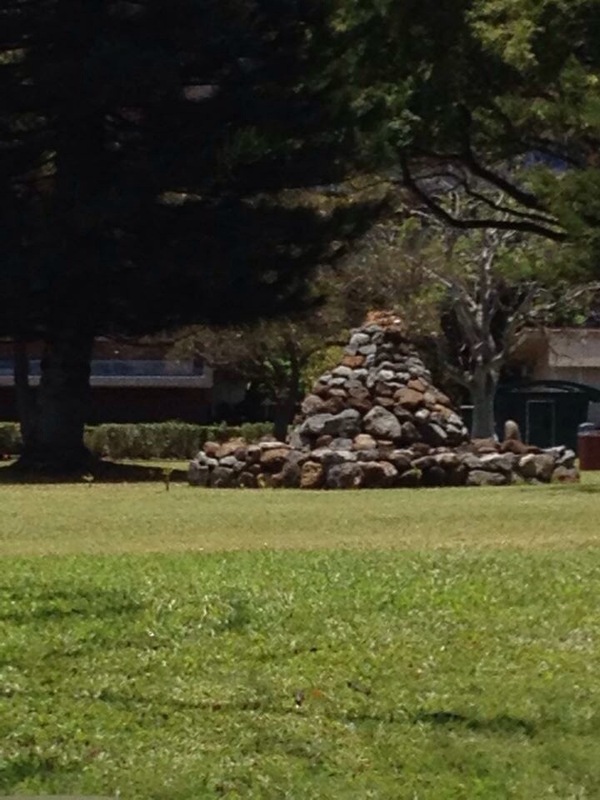 This past weekend was the Hawaii State Farm Fair at Kualoa Ranch. Usually, my dad’s farm has a booth there where we sample papayas. However, we’ve been sold out the last several weeks so we aren’t able to host it. It’s actually great that we are selling all of our papayas, including the off grade ones. This year, I helped man the booth for the Hunting Farming Fishing Association instead. I’m one of the founders of this volunteer run group to help protect the rights of those user groups and to educate the public about what we do. I spent nearly 20 hours this weekend getting it put together and talking to hundreds of people. The first day there was spent figuring out the crowd and talking story with folks. We had kids coloring and asking lots of questions about hunting and fishing. On the second day, I decided to get more sophisticated and brought my Indian corn and a cotton boll. When kids were eyeing the lollipops we had our, I’d show them my cotton boll to see if they knew what it was. Nearly a third of the kids and quite a few adults had no idea what it was. I’d let them handle it and they still had no idea. Several answered that it was a sheep and the soft part was wool! It made for a lot of giggling when I turned the cotton boll over to show the stem. I’d then ask them if the knew who grew it. Many answered it correctly and could not believe their clothing came from a plant. I told them that farmers not only feed you but keep you from going naked. We all had a good laugh. 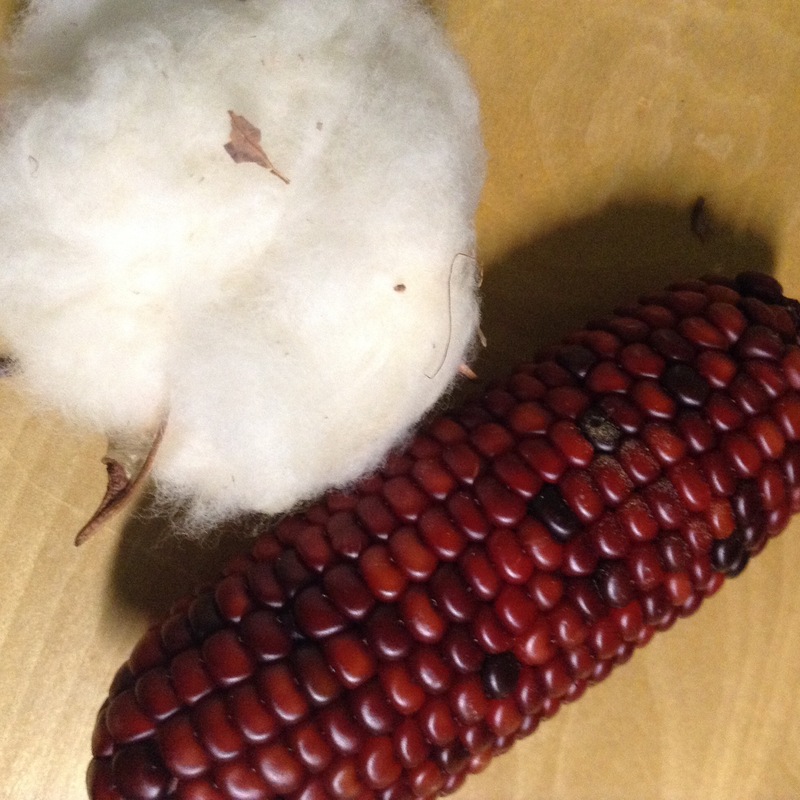 After showing them the cotton, I’d show my red corn and ask if they knew what it was. Many could recognize it was corn. I asked them if they ate red corn. None could say yes. I asked the kids why was it red instead of yellow. They had no idea. Depending on their age, I’d explain that people trying make corn as yummy as possible by experimenting with it. The older kids knew what DNA was so I explained how the DNA was different leading to different types. There were many “a-ha” moments in kids and parents. It made me realize that too many think they know things but really don’t know. This was only proven when our last visitor to our booth started talking about how he was a fish conservationist but also fished. We started talking about fish conservation being good but it means that if oceans are to be protected, one must increase food production on land. If we don’t give other nations tools for productivity, they will head to the forests or oceans for food. This awkwardly man in his denim shortalls with a straw hat then said that he is all about that but not frankenfish. I pressed him as to why he was against it and his reply was that he just didn’t think it was a good idea. He couldn’t elaborate on it but simply walked away saying no way. I asked him on what he’d do to protect wild stocks then to which he had no answer. I really had an eye opening weekend to say the least. 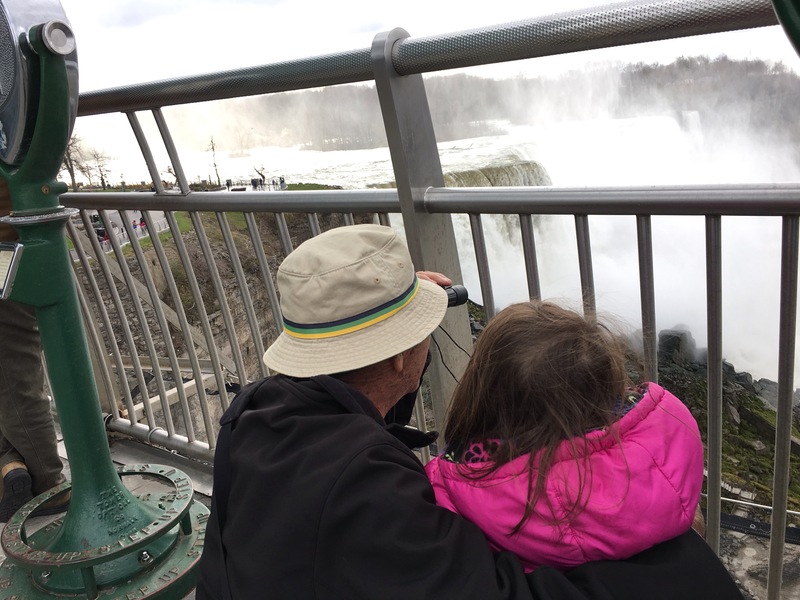 I’ve realized that there is a huge need to connect out with the public to educate them on how we grow or catch things to eat. Until one sees what it takes to feed someone with their own eyes, they really don’t know. Without true knowledge, the public can never fully appreciate those who feed and clothe us. If the farmers and scientists don’t tell their story, someone else will. I do a lot of training of new interns at work and have noticed a very disturbing trend. I rarely see them asking how to best prepare for it prior to starting. I somehow get the feeling that I’m supposed to be holding their hand to teach the everything despite having been educated for 3 years. People need to come with a desire to learn and take initiative to be active in the process. If not, how can one ever be a good professional serving their clients? It’s no different for politicians. One cannot best serve people if they don’t learn the facts. 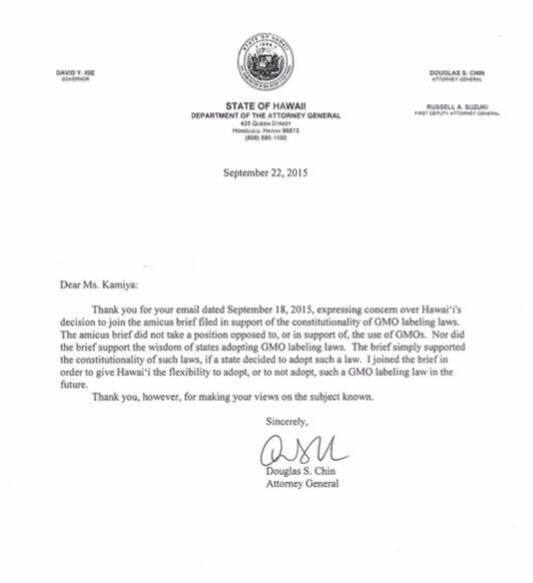 I’m not surprised that the younger ones like Rep. Chris Lee of Kailua and Rep. Kaniela Ing are leading the charge for the Center for Food Safety’s anti-GMO, anti-agriculture bills. Ing is even using this issue to fundraise for himself! They clearly like the attention created by this outside litigator group over focusing on the real issues and haven’t learned to appreciate the advances made in agriculture. What is a major issue that needs to be prioritized here that will forever change the aina and affect the most vulnerable? It’s not farms and it’s not pesticides. It’s something more dangerous to our entire state if we don’t address it now. In fact this problem will likely impact all farms and endanger all farmers and their workers. It will also affect everyone’s ability to access beaches and parks if we do not educate people about it. If evidence led the way, the legislature would be making this a top priority and funding efforts to address it now. The public deserves resources directed to actual problems that plague us and and work on stopping it. Groups like the Center for Food Safety will not educate the public about this issue and the very tools needed to combat it. They turn a blind eye to it. Meanwhile, the danger remains ignored. The SHAKA Movement is no different with their tactic too. Whether it be the fire ants or dengue fever, that is or no concern to them. They continue to manipulate people’s fears around pesticides and GM technology. They waste public resources that could be used to solve these problems. Then again, maybe history needs to repeat itself. The organic industry really isn’t about the health or wellness of others. In Uganda, they helped to block malaria spraying to maintain their certifications for organic cotton. As a result of this fear campaign where people were told they’d be infertile and have other unfounded issues, some 2000 children die each day from malaria. 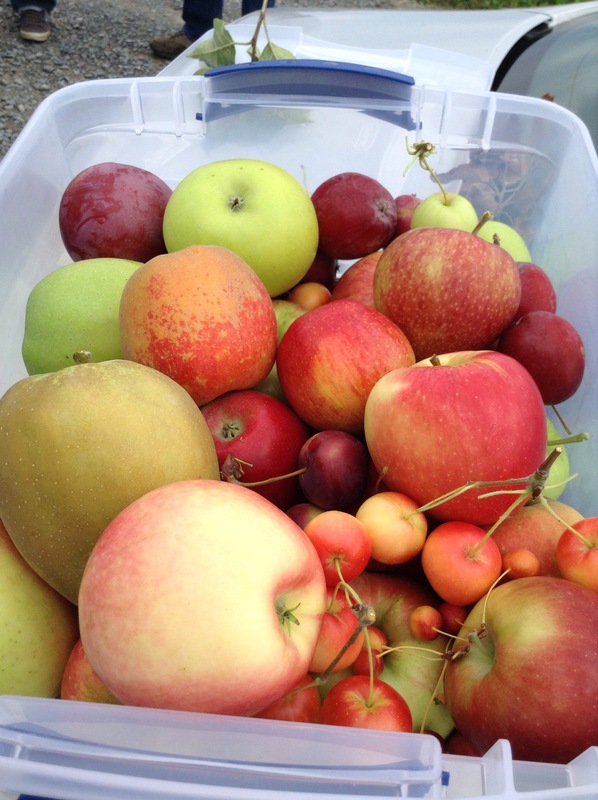 There’s no gray area to balance saving lives by going organic because it’s not based in evidence. We can’t endanger lives because someone won’t use factual evidence. That’s irresponsible and deadly. So while Rep. Lee and Rep. Ing are busy peddling fear with the likes of alien believers of Shaka, the entire state’s aina and its people are left to the side effects of dengue fever and the little red fire ant. We, the public, deserve better service than self serving charlatans that put us all in harm’s way. 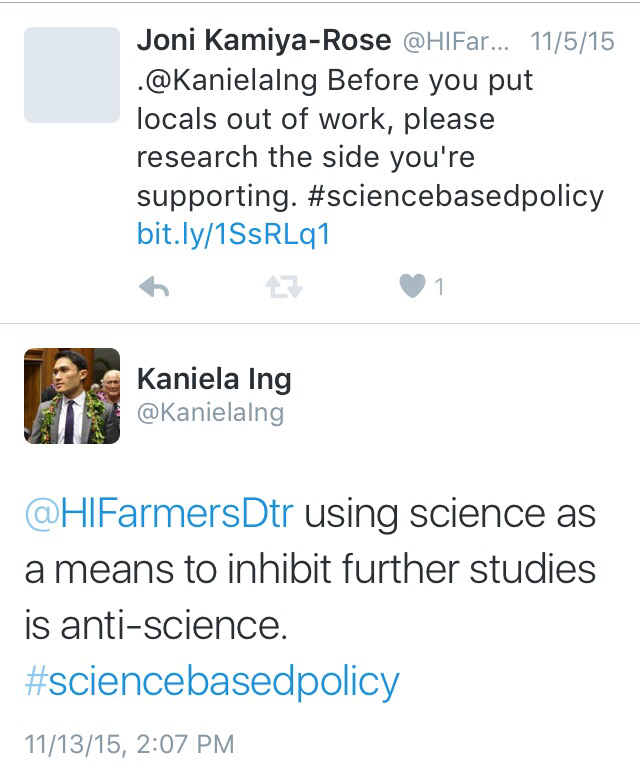 Politicians in Hawaii clearly do not understand the process of science. Everyday while chatting with Cornell Alliance for Science fellows, I’m starting to realize a very peculiar pattern of intentional misinformation throughout the world. The activists are quite skillful in how they craft their message to fit their audience and their pattern is evident. They say one thing but do another and alter their message depending on the region they are attempting to manipulate. Here’s just a few observations I’ve observed while listening to claims and tracking down the origins. While the Hawaii papaya farmers were being ravaged by diseases and scientists worked furiously to come up with a solution, the Greenpeace activists were trying to find their fundraising cause. They tried to use deforestation however it wasn’t creating much noise. It was the success of the Hawaiian papaya and possibly the Thai papaya that made Greenpeace realize a new fundraising opportunity. Back in 2004, they also made the claim that growing crops organically, would solve the ringspot disease. It’s 2015 and farmers are still getting hit by the ringspot virus and there’s no solution offered. These activists are doing the same thing claiming that GMOs will contaminate their crops but what good is a crop if it’s not disease resistant and what will keep farmers growing their produce? The disease pressure will always be around because of the source of it is an aphid. Piling more soil around the base was touted as way of resisting it but logically, how is that going to prevent the virus from getting into the leaves? The best way to address this issue is not making up solutions by systematically studying it with science. That’s something that threatens the entire anti-GMO stance. With the news that some serious diseases affecting crops in Africa may be solved through biotechnology, it’s not surprising that this same pattern of misinformation is arising there too. There was a recent story that Bill Gates was introducing a terrible strain of virus to the continent to destroy their crops. It’s the typical fear mongering bit that they love to use. The activists are spreading even more rumors that this virus will contaminate crops, which is exactly what they did with the Thai and Hawaiian papaya. Meanwhile, the bad virus is devastating crops and treating food supplies. The invasive species being introduced to the world isn’t the virus but the introduction of dishonest, wealthy, Western activists. They are the real danger because they don’t contribute any type of solution to the actual problem at hand. Then again, they really don’t care because they don’t even know what cassava is! I’ve been told by my fellows from Africa that their activists tell farmers and the public that consuming GMOs will cause people to turn gay. I did find a source of this claim online on an obscure blog. It’s the same pattern of of the anti-GMO movement that uses science and misinterprets it for their uses. Basically, they took the research of Tyrone Hayes and extrapolated it directly to humans. There’s no mention that his results could not be replicated which is a key problem with many of the studies the activists use to promote their agendas. It’s also interesting that the pesticide Hayes was studying isn’t just used in GMO crops but has been something used in agriculture for nearly 50 years so it’s not exclusive to biotech at all but of course they make it out to be. 3) It’s the Right to Know! I’ve always been skeptical of the activists’ rallying cry that they have the right to know. One of the reasons why I didn’t think it was sincere was when my hometown Representative Jessica Wooley make a bold statement that biotech products aren’t regulated at a public meeting and it justified her seeking to label GMOs. In the US, the public is told to ask their legislators that they have this right to know and force others to label their products in an attempt to attack the corporations. While they are demanding this right, there’s fear mongering happening around the media by these same people. Then again, every once in a while, these activists, including the Babes Against Biotech, do show their honestly about this right to know. I also love how they are great misinterpreters of information much of the time. When the Attorney General Doug Chin signed on the Vermont Labeling Lawsuit a few weeks ago, I decided to send my concerns about his action. 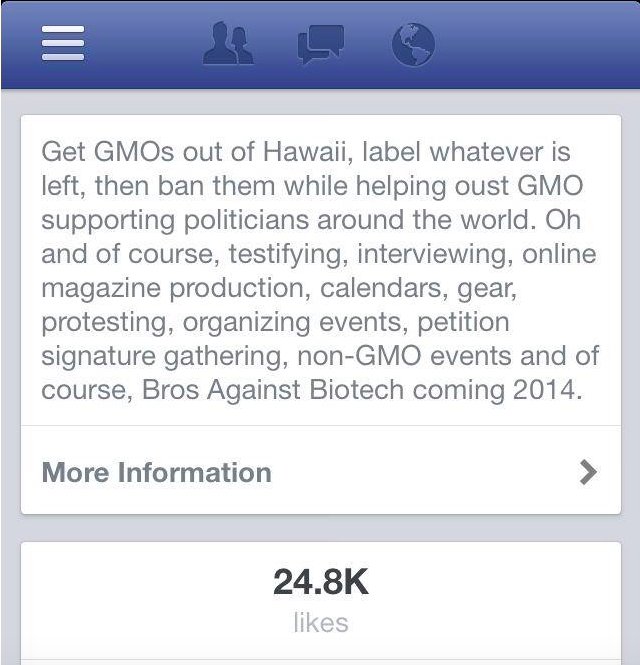 I’m glad to learn that it’s not what the anti-GMO activists made it out to be. The supposed right to know clearly isn’t being told to developing countries’ leaders. It’s being altered to suit their needs and implying that the US and the EU label to show harm. Can anyone say they never saw monster corns with teeth folks or babies coming out of corn husks? That right to know label means one thing in the US but it becomes a license to the anti-GMO folks to misinform the rest of the world. Take a look at these photos and see if you know what they are. Can you recognize what’s being shown in the photo? If you don’t know, then you can’t say you know about biotech very much. This is a cassava plant infected with brown streak virus disease. This is a staple crop in certain parts of Uganda, Kenya, and other African countries and its getting hit by this devastating disease the renders the crops inedible. 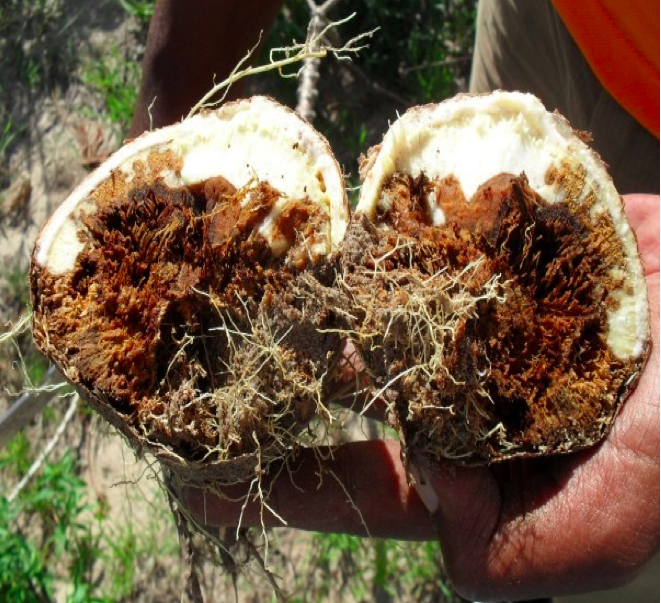 Even the wild pigs don’t eat the tubers when it’s affected by disease. Farmers who grow these won’t know it’s extent until it’s harvested and entire fields go bad. So what’s the problem with thinking GMOs equates to Monsanto? This research to solve this major plant problem has nothing to do with Monsanto and is being researched by the public sector in the respected countries. The government, not a corporation, is trying to solve the pathology to determine a solution for combatting it. The idea of saving it is pretty similar to that of the inoculation of the papaya with with mild ringspot virus. Then there is also the banana diseases affecting much of these regions. A banana plantation usually has a span of 25 years of production but due to various diseases, a plantation can die off in a matter of months. Bananas are a staple crop also in these areas and with that being gone due to disease, not only can farmers not grow food, the people have nothing in the way of income to support their families. Like the cassava, banana research is taking place through the government and not Monsanto. In yet another launched attack against this technology, when GMOs could not be proven harmful, the activists moved the goal posts yet again and stated that using GM technology equates to using more pesticides. It’s not surprising that they ignore certain data that the insecticide use has gone down tremendously with the adoption of these crops and herbicide use has gone up. They also obscure the fact that with herbicide use comes less energy inputs as well as less tillage that contributes to erosion and loss of topsoil. These people also jump on the IARC classification that it causes cancer and don’t really put it into perspective that pickles, being a hairdresser, and other things are also found in that classification. The anti-GMO folks are experts in doubt and fear. They make people so afraid of pesticides but never really put the importance of it into perspective. In some cases, the fear indeed is deadly. 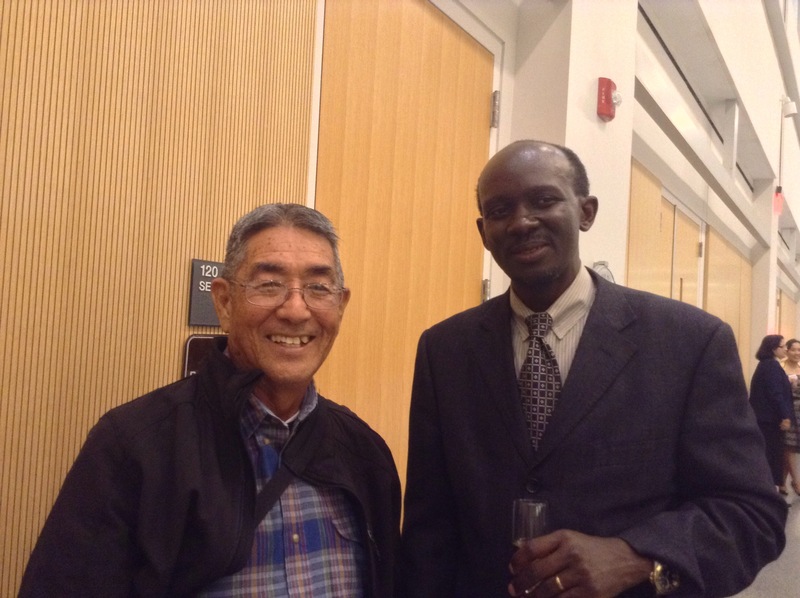 One example I learned of is the use of DDT for malaria control in the developing world. Just recently, it’s estimated some 42 children have died daily in Uganda from malaria because of the policy to not allow the spraying of it. The environmentalists in the US and UK complain about DDT use and don’t see the deaths and suffering their anti-pesticide message harms people. You can bet that if the situation was reversed, they’d be demanding the right to pesticides. But then alas, it’s not in their backyard so they really can’t think beyond that. 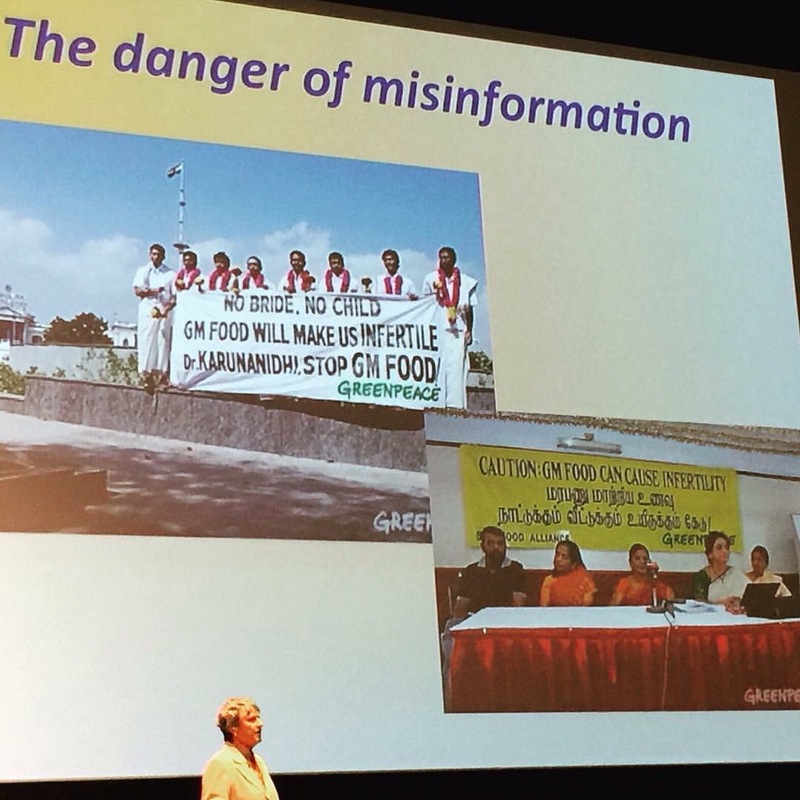 There’s clearly a tactic and strategy that the anti-GMO folks are using here with what they do in one country and what they warp it to in another country. It’s ironic that they demand transparency and yet truly have no trust of any government body or scientist for that matter. They are out to protect their own conspiracies around corporations and maintain distrust among their followers. Providing knowledge and learning is once again detrimental to their bottom lines. Scaring people so much so that they can no longer think of others is a scary society to live in. Although the messages about biotech applications to feed the world sound so altruistic and great, it really doesn’t resonate with many people at all. I’ve seen so many activists state that there’s no need to attempt such a feat since there’s too much food going to waste. The problem with that is there still is hunger and malnutrition around the world and sitting on your bum proposing that doesn’t change it. What’s wrong with giving people in their own countries the right to decide what food crop they want to grow and cultivate? Who are we as well fed folks telling them that they can’t use biotech to fight plant diseases and pests? Why can’t we allow them home rule? As much as many Europeans and Americans don’t embrace the feed the world message, they forget that much of our food has come from around the world. Our corn came from Mexico based on research in unraveling the genetics of teosinte to the modern day corn cob. Our rice has its origins in China. The wheat we consume has its origins in Southwestern Asia. Oats appear to have originated in Asia Minor or Southeastern Europe. Chocolate isn’t even from America but can trace its early origins to Mexico. Even the breadfruit tree in Hawaii likely has its origins somewhere in the Pacific. The new superfood, quinoa, is an Andean plant but now stocked in every store around. The latest and greatest foods tend to come from distant places from our country and yet we aren’t allowing them to make decisions on what tools and technology they can use. So despite the Western countries controversy over biotechnology in agriculture, the issue of food is clearly a global one. We all eat products from all over the world. That means that we need to think globally about everyone’s food supply because we are all connected to each other because of the origins of our food. To stand well fed and announce that you don’t care about what the rest of the world eats is hypocritical because most of the food you ate is likely a product of something from around the world. If you eat globally, then you’d better start thinking globally. Lastly, be an honest global citizen!